For some of our family and friends it is simple to know just what to buy them for Christmas or a special birthday. However, for some people, figuring out just what to get them to make their day special can be a real challenge. Maybe you are not sure what they want or maybe they just seem to have everything. Coming up with the right idea can be downright mind boggling. A fun idea for a unique and special birthday gift is candy! Candy birthday gifts are the perfect idea to please anyone with a sweet tooth. They are easy to send, easy to customize and fun for anyone. While we have all heard of flowers or balloons as a birthday gift, many of us have not considered candy. Very few people have received a basket of delicious, sweet candy as a treat on their special day. Choosing to send candy as a birthday present will be something new and exciting for someone you love. It will be a fun surprise. Although it is especially fun to send a candy birthday present to a loved one this is also a gift that can be sent to someone you do not know well. A work associate, a far away relative or someone you are just getting to know; these are all people who would enjoy the gift of candy. 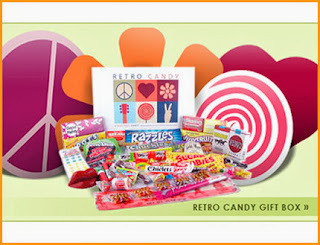 A great aspect of sending candy for a Christmas gift is how customizable a candy gift can be. You can create a basket of sweet treats or a bouquet of lollipops. Perhaps your best friend loves nothing better than chocolate. Then gourmet chocolates would be a perfect gift. For a milestone birthday a box of nostalgic candies that takes your loved one back to their youth can be a very special idea. If your loved one lives far away candy is the perfect way to say how much you care. It can be sent almost anywhere and is easy to deliver. Because it doesn’t have the restrictions of flowers or a fruit basket a candy birthday gift is easy to send to someone you love. The best part of the gift of candy is how fun it is. Flowers only last a few days and fruit baskets lack fun. Candy is something almost everyone can enjoy and it can last several weeks. That way your loved one can enjoy it for long after their birthday has come and gone. Each day they can enjoy a piece of candy you specifically chose for them and remember how much you love them.